E-Card "Chúc Mừng Năm Mới 2018"
Vietnam is expected to be the best performing real estate market in Southeast Asia in 2016 due to an easing of foreign ownership rules, experts have said. 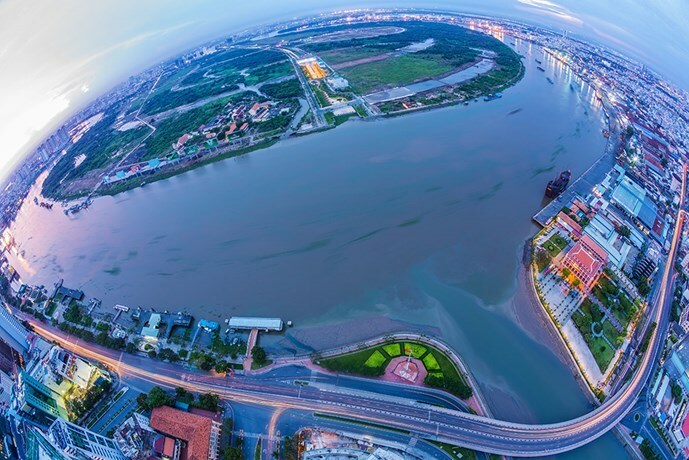 “Currently Vietnam is offering the most exciting opportunity in the region, while at the same time the regional real estate markets are suffering,” Rudolf Hever, executive director of the Ho Chi Minh City-based Alternaty Real Estate Service Company, said. Singapore is feeling the effects of the heavy-handed cooling measures, Indonesia and Malaysia have seen rapid currency depreciation, Thailand continues to grapple with internal issues and Myanmar is seeing significant supply coming on to the market putting downward pressure on rentals and pricing, he said. “Meanwhile Vietnam has come through an extended period of consolidation, and looks poised to lead the regional real estate markets over the next two to three years”. At the 2015 Property Report Congress held last week in Singapore attendees acknowledged renewed interest in Vietnam due to the positive fundamentals. Drivers of Vietnam’s latest emergence include a stable and recovering economy, rising confidence among buyers and developers, and the positive effects of the AEC (ASEAN Economic Community) and TPP (Trans-Pacific Partnership), of which Vietnam will be a key beneficiary. Recent positive moves by the Vietnamese Government like relaxing foreign ownership rules ate and cut in visa fees for foreign tourists are also factors. Vietnam will cut single-entry visa fee for visitors from US$45 to $25 with effect from November 23. A three-month multi-entry visa will almost be halved to $50. Anyone with a valid visa or other entry documents can buy housing in Vietnam. The congress heard insights from top industry leaders on the success of real estate companies in Southeast Asia and the likely challenges and opportunities following ASEAN integration. Country-focused opportunity sessions were also held with in-depth discussions on the Vietnam, Singapore, Philippines, Thailand, Myanmar, Malaysia, and Indonesia housing markets. During the Congress, panelists were asked to vote on which markets will perform best in 2016, and the clear favorite was Vietnam. Participants expected Vietnam to be the best performing real estate market in 2016, ahead of Thailand, Indonesia, and Philippines. They were also asked to choose one market (excluding their home market) which currently offers the best opportunity in the real estate market, and once again Vietnam was their prime choice. According to Alternaty, developers in markets such as Thailand (Bangkok, Phuket), Singapore and Indonesia (Bali, Lombok) had a lot of success in attracting foreign buyers over the past few years, while Vietnam missed out on this trend. However, the results from the Congress indicate that foreign buyers may finally give Vietnam serious consideration, according to the company.